I think I'm late for a walk. I usually go out for a jog as early as 4 o'clock in the morning but anyway, it is still quite dark and the mornings are cold during these January days. Coming from the house at 5:30, I passed by many morning joggers at the City Plaza area particularly the road fronting the Church at 5:38 am. Walked farther going towards east along the provincial road on a fast phase (at least i think i was fast). I passed by Santiago Norte Barangay Hall at 6:05 am, barangay Camansi Welcome arch at 6:16 am and along the way near the Camansi Barangay Hall, there was these two joggers who passed by me going the same direction at 6:20 am. 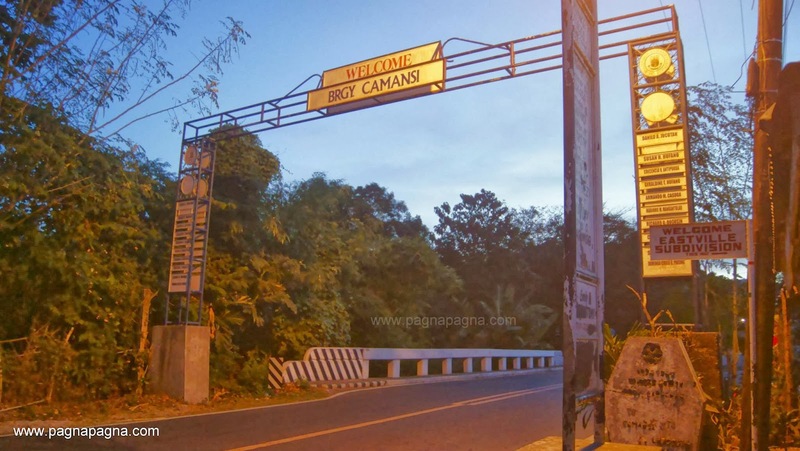 The Barangay Camansi Welcome Arch at 6:16 in the morning. The two joggers were "athletic" in the sense that they were lean bodied and they jogged continuously without any hint of stopping as they went out of sight towards the road bend. Along the San Fernando Sports Center (a Cockpit Arena), at 6:25 am, as I walked in a fast phase, another jogger passed me by. I trailed him from behind and said "Sige paspassam pay!" (Okey, go faster!). He looked at me and said "Uy! sika mut gayam!" (Oh, It is you!). He is "Rolando" my schoolmate in college, a friend and now an Architect-Instructor at the same school. We talked while we walked and learned from him that one of the two joggers that had passed me earlier was his wife "Emely" who was one of the winning women marathon runners of the province. 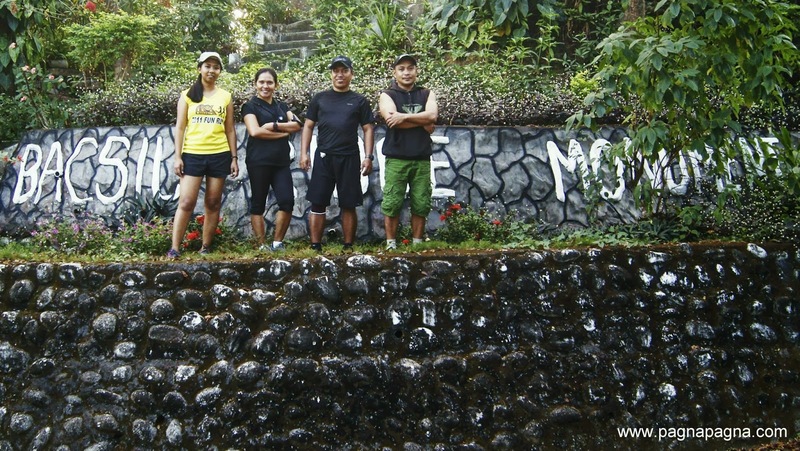 While we walked, another lady jogger in yellow shirt came and she was with the same group with Rolando's. Her name was "Girlie". After some few minutes, I let them go ahead jogging while i walked. I finally arrived at the Welcome Arch of Barangay Bacsil at 7:16 am and just few meters away was "Rolando's group" having some refreshment at a local sari-sari store. I sat down with them and had some few conversation together with one of their companion who was a constant winner of the "Fun Runs" and marathons and hails from Aringay, La Union. Thanks for the couple "Emely and Rolando" for the bottle of refreshing drink. Few minutes later, we went to the Monument area/park for some group photos. Afterwards, i let them go ahead back to downtown San Fernando as i have to linger for a while at the monument area for some more photos for my blog. While shooting some photographs, i chanced upon my nephew "Cloud" who together with his biker friends arrived and went to the sari-sari store for a snack. As the arch says: "Thank you, come again"
I had my photos and at 7:59 am, i started walking back going downtown San Fernando. I finally arrived at the City Plaza at 9:26 am. 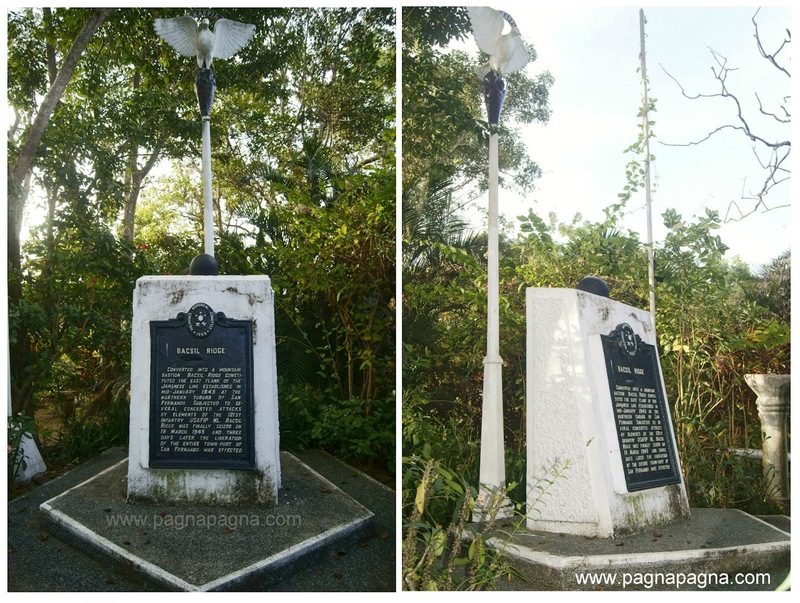 Located at the mountain top that can be easily accessed through a cemented road, It is a small park that contains a monument or a marker that had to do with World War II. The road leading to the Monument and beyond are favorite route of bikers and recently for some few joggers and hikers. A closer look at the dove statue. 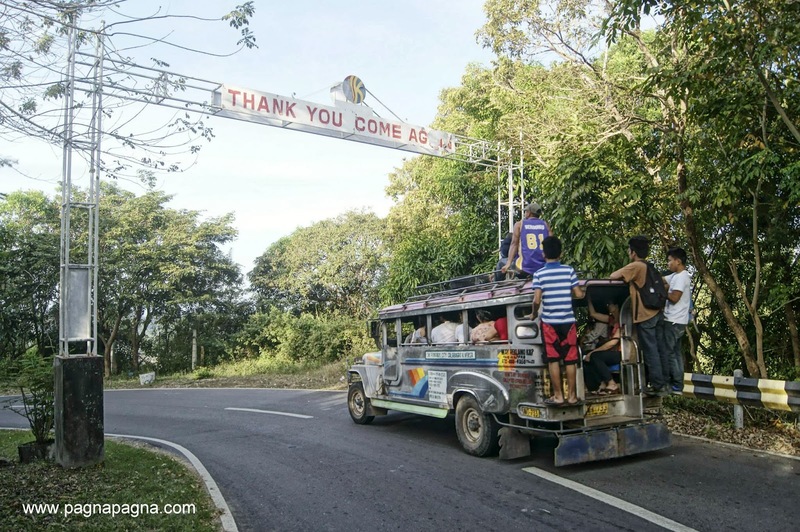 Behind it is the ilocano word "KAPPIA" which means "PEACE"
From Manila, ride a bus going to any of these Northwestern Luzon areas : Laoag City, Vigan City, Abra, Candon City and La Union. But you have to get down at San Fernando City, La Union City Plaza. Hire a tricycle going to the upland Barangay of Bacsil where the Monument/Park is located. Hike all the way. Go in front of San Fernando City Hall. Take that road fronting the City Hall going towards east (Rizal Avenue). 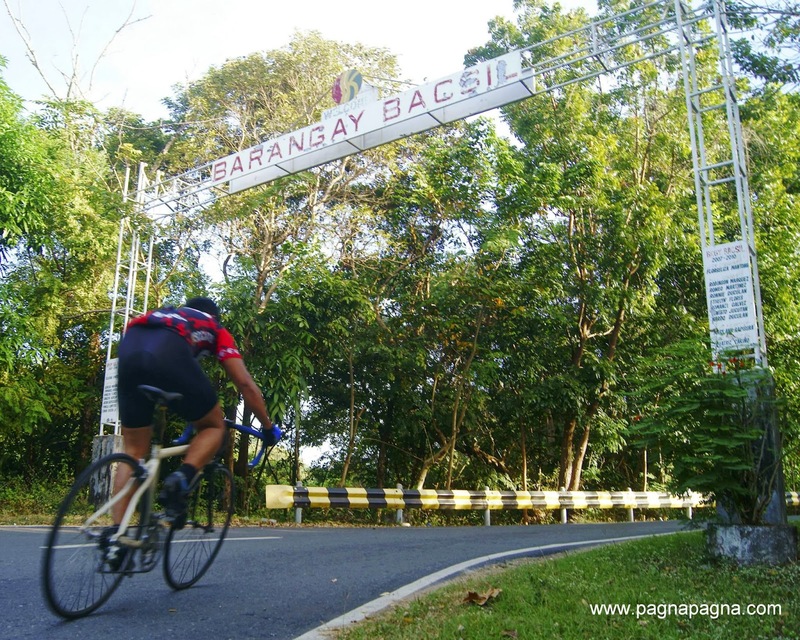 This is the same primary road going towards the Botanical Garden but when you reach the junction at the San Fernando Sports Center, do not take the right side road rather do take the left side road going to barangay PIAS. Few meters away is the Bureau of Jail Management and Penology. Keep on walking this primary road going up to the Welcome Arch at Barangay Bacsil and just few meters away from the Welcome Arch will be the Bacsil Ridge Monument.